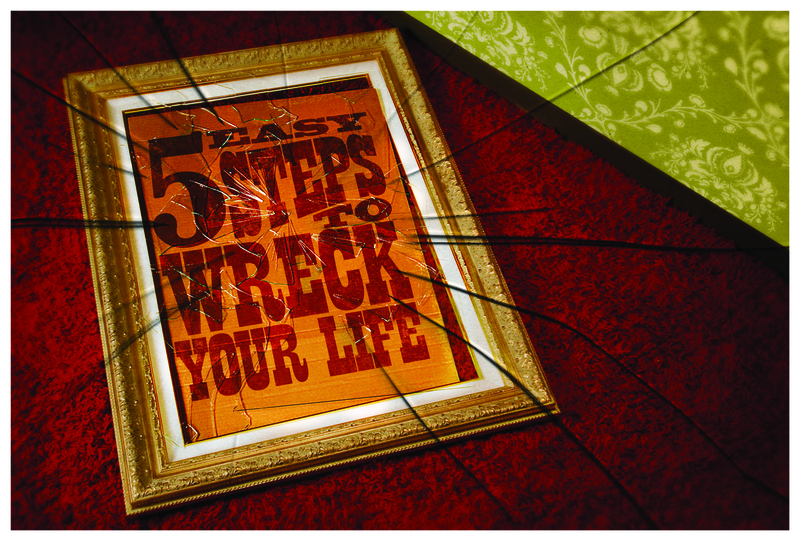 This Sunday we launch a new teaching series called, “5 Easy Steps to Wreck Your Life.” Typically, I don’t – or even like to – preach topical series. It’s too easy to twist God’s Word, bully others into your image and allow people to become dependant on what the “church” says rather than form imagination and become discerning. But this series, I hope, will be different. Why? Because I’m not teaching people WHAT to do, rather I’m highlighting what we’re already doing. This, I think, will cause all of us to consider more deeply the modes of living and being that we hardly ever consider; the reflexive, yet unthoughtful words and deeds that make up our lives. Though our consideration of certain modes may be low, they impact us greatly. My desire is to help people deal with the obvious mistakes and missteps people make and encourage us to choose differently. So, if you’re in Northern California in February, swing by and join us at Redwood Church (901 Madison Avenue, Redwood City, CA), at 9:00 am or 10:45 am. If you can’t join us live, please listen to or download the podcast and become part of our virtual fellowship.